Remember the 2012 game release that drove the world to a whole new level of gaming addiction? Some could say it was the best thing after temple run and angry birds’.It gives an impression of an ordinary match 3 games where a player manipulates tiles in order to make them disappear (usually three tiles of the same type). Interestingly, however, is how players have come up with ways to pass up levels in the game. 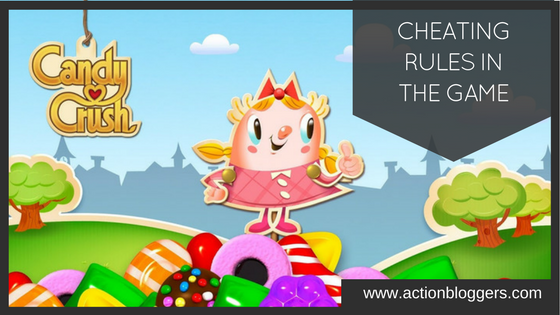 The game like any other gets harder as you progress levels.It’s common sense to sense to find players trying to find cheat codes for candy crush saga with every impending challenge and obstacle.The most common is the download of cheat codes and applications that are readily online .thus next time you are stuck in your favourite game and can’t quite hack how to get on with it, kindly do not uninstall it. Most online gaming guide has pre-researched hacking codes and instructions for all basics needed to become a pro-candy crusher. Given the five hundred plus levels, it is a pretty challenging task. The trick is to get more lives once you are stuck at a level. You can achieve this every half hour, request your friends on facebook to send you more lives or finally to buy them off the net via a freemium-like model. This you get at $0.99.It’s an incentivized means of getting the user to spend in order to keep playing. You are given five lives and for each level, you don’t pass, you lose a life. These refill every half hour one at a time. The online hacking applications require one to download codes for each chapter. Here one gets tips, hints, tricks, and guidelines on how to break each level. The various strategy guides are however incomplete since the developer (developer king) keeps adding the levels. Tricks include finding patterns i.e. memorizing and repeating them. Also staring at the bottom makes it easier than starting from the top. Using combinations of wrapped candy and striped candy helps wipe out half the board. Also, the stripes of various candy help in achieving either vertical or horizontal explosion of various magnitudes. Players should know to assess threats based on their threat levels. They can then prioritize to get rid of the evil candy by their threat levels.Other tips include clearing jellies on edge since they are hardest to destroy.Planning the game prior to playing by assessing opportunities and possible gains assist in moving further and earning more explosions without necessarily losing lives. Players should strive to make candy crush chains which assist in adding trial time. Another option is to add extra time to playing time to keep playing off extra heat content. This is done by switching off time settings and setting it to two hours ahead to earn four extra lives. These cheats of candy crush saga techniques assist players to get a whole ‘painless’ fulfilling gaming experience bearing in mind it’s not illegal.